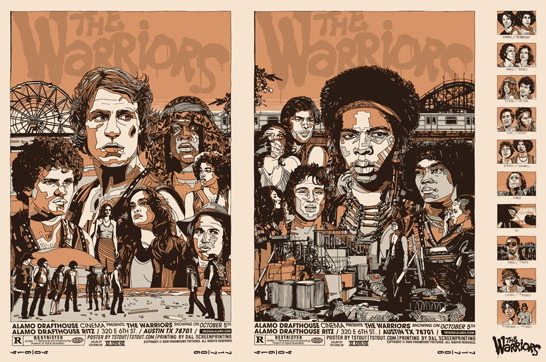 Like Peter Strausfeld, a young American artist/designer of our time named Tyler Stout has been touted by SlashFilm for his limited edition posters for the Alamo Drafthouse Cinema in Austin, TX. 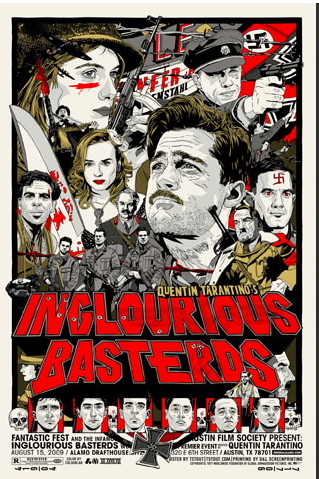 This is an interesting trend in our bland, everything-looks-the-same, poster-by-committee cineplex world we live in now. 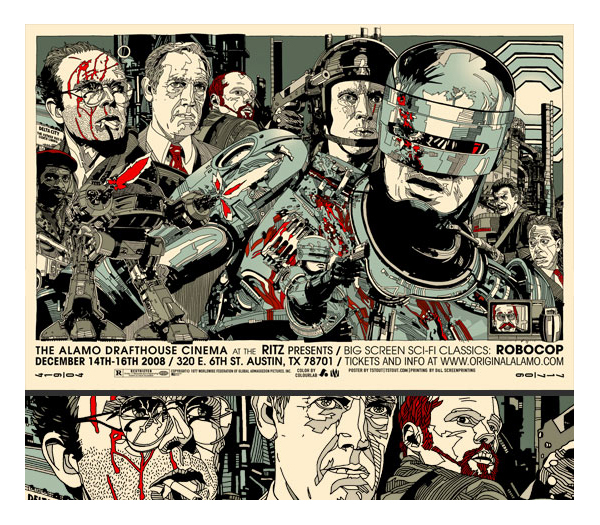 What if every movie theatre had their very own poster designer? 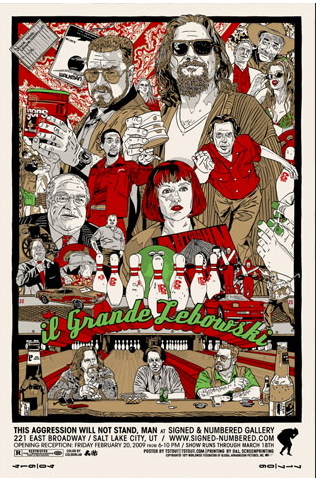 This entry was posted in 2000s posters, Artists & Illustrators and tagged alamo drafthouse, big lebowski, inglourious basterds, robocop, tyler stout by russ. Bookmark the permalink.